Eat, eat. Hot. Good food, hm? Good, hmm? Turns out, despite all his fancy Jedi abilities, Yoda needs some lovin’ and kind words, just like the rest of us. 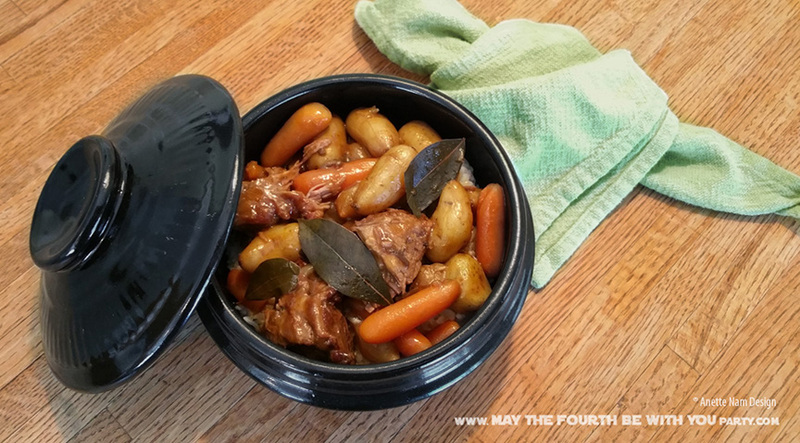 Make the M4P version of his stew and you’ll gets lots of both! 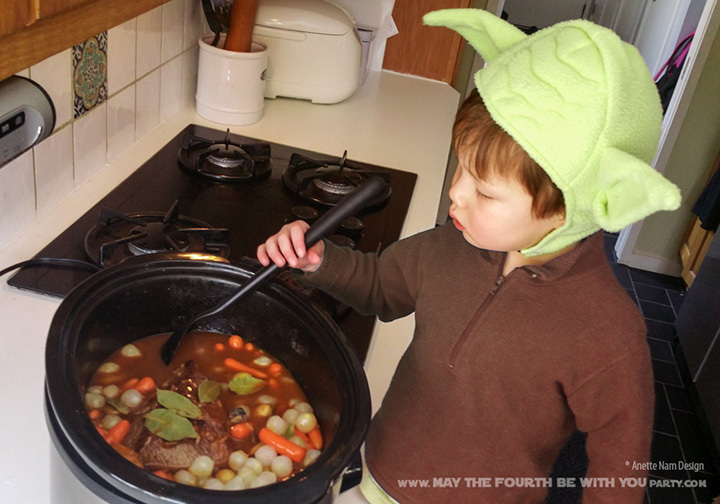 Now, there is an officially sanctioned Star Wars version of Rootleaf Stew. Do you remember the radio dramatization of the trilogy? NPR actually hired a famous chef to create a recipe as part of the promotion for the Empire Strikes Back. We haven’t tried that recipe yet, but once we do, I will take pictures and post them. We HAVE tried the NPR dramatizations however, and they are REALLY good – especially Episode IV. It fills in some really nice details in the story. The other 2 are shorter, and do not add as much new info, but are still a lot of fun to listen to. Perfect for your next road trip to Degobah. Brown the pot roast in a frying pan. Mix golden mushroom soup, dry onion soup mix and broth together in a bowl.